PLACE MONTRÉAL TRUST DOES ITS PART FOR THE ENVIRONMENT! Did you know that Place Montréal Trust is a BOMA BESt 4 certified building, an important classification in the industry? BOMA BESt Level 4 certification is for buildings that meet all of the BOMA Go Green Best Practices and achieve 90% + on the Go Green Plus assessment. In 2017, Place Montreal Trust was awarded the BOMA Québec Environment Award and the BOMA Canada’s National Earth Awards for the retail property category. In 2015, Place Montréal Trust was also recognized under the ICI ON RECYCLE! Program, by RECYC-QUÉBEC, and was awarded the Level 3 Performance Certification (bronze level). This performance level acknowledges establishments that achieve an overall recovery rate of 70% or more for the reuse, recycle and recovery of waste materials. Buildings at those levels of certification have higher performance and demonstrate excellence in management and have typically been managing with energy and environmental performance in mind for several years. Our efforts focus mainly on recycling and energy management. Our recovery rate for the year of 2016 was of 75%, a considerable percentage. 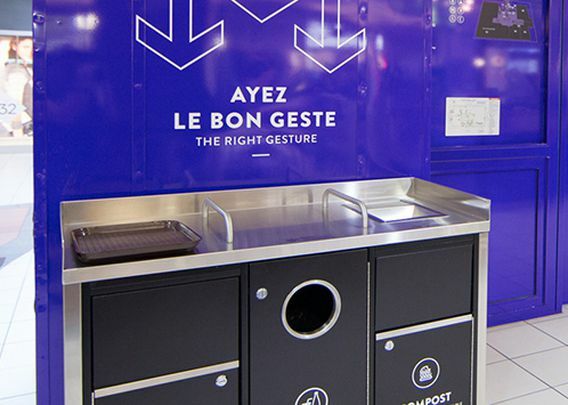 From cardboard and paper recovery, plastic, glass and metal to wood pallets, cooking oil, light bulbs, pens and compost, Place Montréal Trust is doing its part for the environment! Did you know that you can take your rechargeable batteries to La Source so they can be recycled? Or your discarded old-fashioned glasses to Lenscrafters? It’s never too late to get started! Nautilus Plus, sneakers week: recovery of used sneakers, once a year. In terms of energy management, Place Montréal Trust has been implementing for several years now a number of different techniques to reduce our water and electricity consumption. We continue to modernize our equipment to not only contribute to the environment, but also to ensure our clients’ comfort.